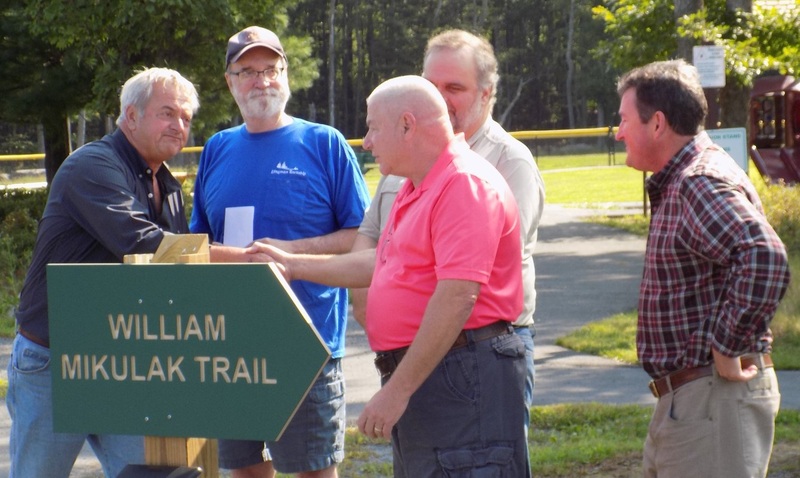 On August 26, 2018 the Dingman Township Board of Supervisors officially dedicated the two new multi-use trails recently constructed in the Dingman Township Recreational Park. The short dedication ceremony was attended by Senator Lisa Baker, Representative Mike Peifer and numerous members of the public. 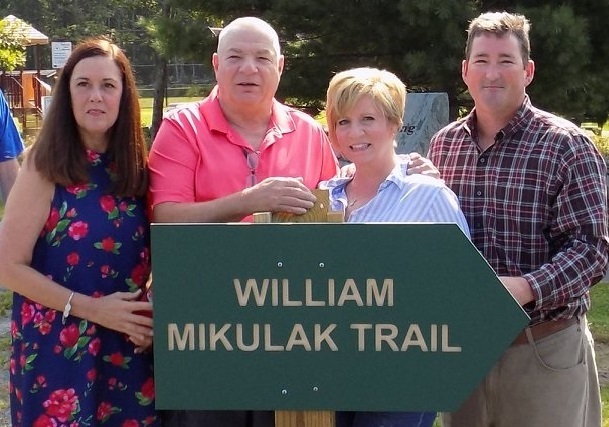 After a few opening remarks, Board of Supervisors Chairman Thomas Mincer announced that the primary trail was to be named the "William Mikulak Trail" in honor of William Mikulak, for his many years of service to the Dingman Township community. The second, "loop trail" was named the "Dennis Brink Trail" after long time Supervisor, Dennis Brink. Bill, as he is usually known, along with his father and brother, were instrumental in the founding of the Gold Key Volunteer Fire Department. Assuming the position as Fire Chief, Bill worked hard at building the fire department and ensured that his fire fighters received the best training available. As the department grew, so did its reponsibilities as the Board of Supervisors expanded its service area to include territory outside Gold Key Lakes. The department was renamed, The Upper Dingman Township Volunteer Fire Department. Under Bill's leadership, the department continued to grow, its territory expanded to include the western half of the township, receiving its present name - the Dingman Township Volunteer Fire Department. After over 40 years of service, Bill retired as chief. He still serves the community as a member of the fire and ambulance departments and as the Dingman Township Emergency Management Coordinator a position he's held since 1989. Dennis Brink has served as a Dingman Township supervisor since 1975. He was instrumental in the founding of both the township recreational park and the township's Bridge Preserve park where he personally supervised the trail construction. Dennis was caught completely by surprise when Chairman Mincer announced his name. He stated that it was an honor to have the trail named after him and even more so to be honored in the same ceremony as Bill Mikulak. Click here to see a map of the park and trails. The Township residents should be proud of trails in the Dingman Township Recreational Park. In keeping with the Township's tradition of keeping the park environmentally friendly, the trails are constructed of rolled highway millings. The millings form a firm foundation to support the trails for many years to come. The trail surface is comprised of wood chips that are a by-product of lumber manufacturing. The use of these materials not only produce a nice walking/jogging surface, but puts to good use materials that might otherwise be landfilled or burned.